Applying foundation in the morning can be a chore. Getting out the brush, making sure you don’t get a tide mark on your jawline, blending it in so it doesn’t look like you’ve been attacked by a beauty counter assistant… Sometimes you want to just to chuck something on your face and rush out the door. 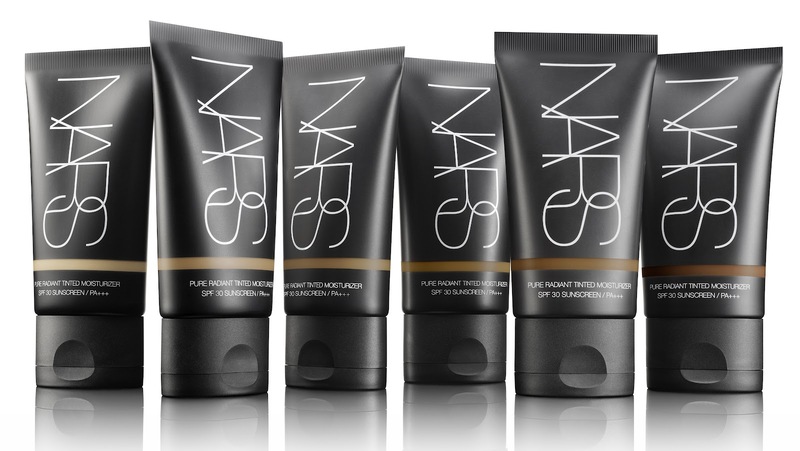 The new Pure Radiant Tinted Moisturiser from NARS allows you to do just that. After years of research, product development and testing, this tinted moisture gives you a hint of colour while helping to even imperfections and reduce the appearance of dark spots. It’s oil-free, meaning it doesn’t cake or slip on skin, as well as containing SPF30 – a sun protection level rarely found in makeup. It’s full of botanicals to inject skin with moisture and hydration, leaving your face feeling plump, fresh and prepared to face the day ahead. The formula smells delicious (all fruity and refreshing, perfect for waking you up in the morning) and is extremely pigmented, meaning you only need a little blob of product to blend over your whole face. The product is rich, so you do have to blend it well with fingers and be careful not to put too much on one part of the face, but it absorbs well to leave a fresh dewy glow to skin. I normally struggle with tinted moisturisers not providing enough coverage, but this gives a good base to skin without loading it with product or feeling like you’re really wearing anything at all. It blends really cleanly with concealers and other products on top, earning its place as an essential in my makeup bag and elbowing the foundations out of their cemented place. Something that often bugs people isn’t an issue here either – there are plenty of shades to choose from and they can be mixed to get the perfect one for you too. The texture is quite unique, almost like a serum rather than a light moisturiser, so I adore this for how different it is. It’s perfect for the forthcoming summer months, holiday season and festival times when you just want to chuck something on and not worry about it budging all day.